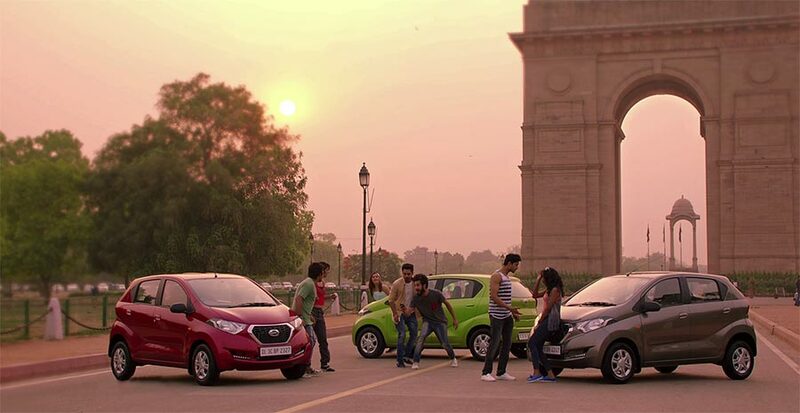 Datsun India today announced the start of the ‘Ready India’ campaign to celebrate the launch of the all-new Datsun redi-GO, India’s first urban cross vehicle. The ‘Ready India’ campaign will feature a television commercial aimed at inspiring up-and-coming young risers, to stimulate change in their world view by looking at it from a new perspective. With the launch of the Datsun redi-GO, we are striving to redefine the entry-level car segment in India. To reinforce redi-GO’s positioning in the marketplace, we are today announcing the launch of the ‘Ready India’ campaign. The focus of this campaign is to directly connect with the brand’s target audience – the young risers. The new television commercial is aimed at connecting with young Indians through its lively music and catchy lyrics. Leading artists from Bollywood contributed to the creation of the TVC, which goes live today on leading television channels. Popular including popular music director Ram Sampath, who composed the music for the commercial while Sona Mohapatra contributed by lending her iconic voice for the campaign. Datsun is a young, challenger brand – backed by the global experience of Nissan – that is breaking new ground in India. The new Datsun redi-GO is aimed at the young risers who are raring to go and questioning the status quo. They want to ‘Be a Voice, Not an Echo’. They are looking at the world with a fresh perspective to create new opportunities for themselves and fulfill their dreams. Our aim with the ‘Ready India’ campaign is breaking new ground in India by providing exactly what its customers need with the all new redi-GO. 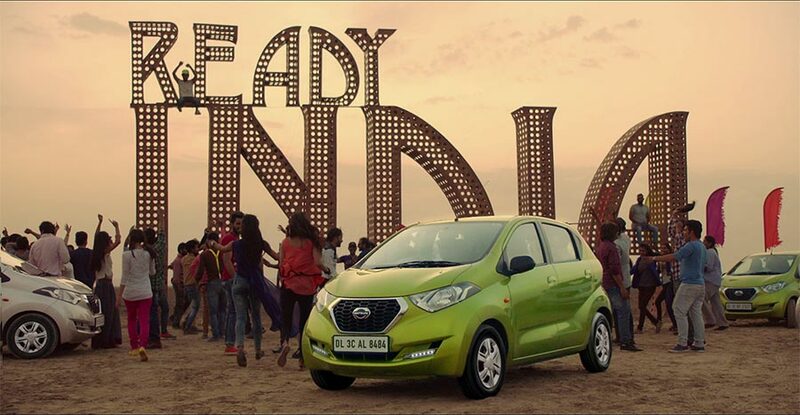 The ‘Ready India’ campaign further supplements the Datsun brand philosophy along with the attributes of the Datsun redi-GO – Fun, Freedom and Confidence. Our focus was to capture and extend this sentiment to all the young risers, to look at their choices boldly with a new outlook on life. The new campaign will resonate with the preferences of young Indians, with its modern look and feel, exciting performances, and a free spirit/go anywhere vibe. Redi-GO’s modern and distinctive styling is highlighted by brave and bold ‘YUKAN’ design elements, which reflects the discerning demands of the young generation. It features ‘tall-boy’ styling offering best-in-class ground clearance of 185 mm, along with extra roominess and excellent external visibility for the driver. It also features daytime running lights and a driver-side airbag on the top variant. The Datsun redi-GO is priced from Rs 2.39 lakh to Rs 3.34 lakh (ex-showroom, New Delhi). The car has the lowest maintenance in its class (up to 50,000 kilometers) and delivers superior fuel economy of 25.17 kmpl. The Datsun redi-GO is available at 274 Nissan and Datsun sales and service touch points in India. Ford rebrands "Figo Aspire" sedan as just "Aspire"